On 1 October 2018 new legislation in relation to cladding products on privately owned buildings in Queensland came into effect. The legislation is aimed at identifying and assessing the risk of cladding products and provides for notice requirements if non-conforming cladding is found to exist and places obligations on buyers and sellers. As serious penalties apply if the requirements are not met, it is important that you determine if you will be affected by the new laws and if you are, ensure that you meet the requirements within the timelines set by the legislation. Does the new legislation apply to you? had a building development approval (to either build the building or alter the cladding on it) between 1 January 1994 and 30 September 2018. Note that if the building has more than one lot, the Body Corporate is considered to be the owner under the legislation. complete Part 1 of the Online Combustible Cladding Checklist (essentially a preliminary assessment). If the online system determines at this stage that the building is not an “affected” building, no further action is required. However, if after completion of Part 1 of the Checklist the online system determines that the building may be an “affected” building, you must complete Stage 2.
you automatically have to also complete Stage 2.
complete Part 2 of the Online Combustible Cladding Checklist. If the online system determines that the building is not affected under this Stage, no further action is required. However, if after completion of Part 2 the online system determines that the building may be an affected building, you must complete Stage 3. Note however that if you know or suspect that your building has combustible cladding, you can skip Stage 2 and go straight to Stage 3.
you automatically have to also complete Stage 3. 27 August 2019 Owners must engage a fire engineer to complete a fire safety risk assessment and notify the QBCC of the name and registration number of a fire engineer engaged. If you fail to meet the first requirement of Stage 3 by 27 August 2019, a maximum fine of 50 penalty units (currently $6,527.50) applies. a fire engineer statement in the approved form. Note that this stage also applies if QBCC gives the owner a notice that it believes a checklist provided is false or misleading in a particular manner. The obligations discussed below will apply to an “affected” building – i.e. if it is found to have combustible cladding forming part of (or attached to) any external part of it (other than the roof) If you fail to meet the second requirement of Stage 3 by 3 May 2021 a maximum fine of 165 penalty units (currently $21,540.75) applies. If you can’t meet any of the timeframes required by the legislation, you can apply to the QBCC for an extension. Any request must be in the approved form and must be made at least 28 days before the relevant compliance period ends. Note that the QBCC has indicated that it won’t automatically grant any requests for extensions and you must show good faith and good endeavours in meeting the obligations. Also note that you must keep each of the Combustible Cladding Checklists (Parts 1, 2 and 3), the fire engineer statement and the building fire safety risk assessment for at least 7 years after they were given to the QBCC (and that a maximum fine of 10 penalty units – currently $1,305.50 – applies if you don’t). What happens if there is non-conforming cladding? if the building has a fire indicator panel – also securely attached to a wall (or internal side of a door) adjacent to the panel. 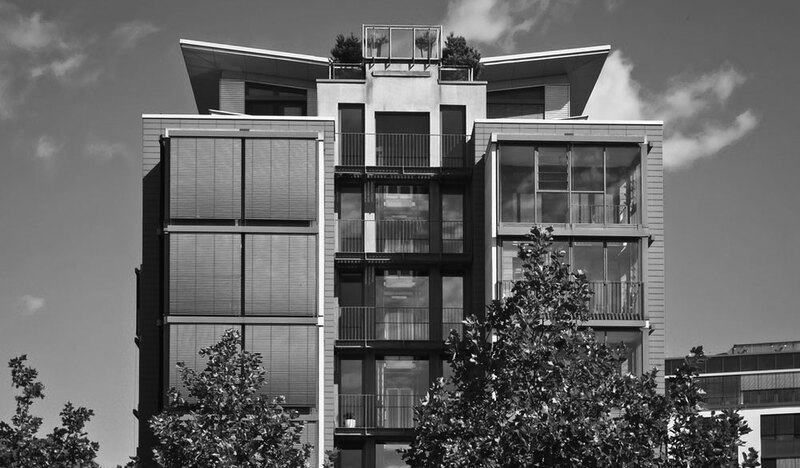 a private certifier gives you a notice that the combustible cladding complies with the Building Code of Australia. Failure to meet these requirements can incur a maximum fine of 30 penalty units (currently $3,916.50). If the building is within a community title scheme, the Body Corporate must give a copy of the building fire safety risk assessment to each lot owner and tenant within 60 business days of receiving the assessment (and to each new owner and tenant within 60 business days of their name being entered on the body corporate roll). Failure to do this can incur a maximum fine of 20 penalty units (currently $2,611.00). How does this legislation affect sellers? (and you must give QBCC a copy of the notice that you gave the Buyer). Failure to do this can incur a maximum fine of 20 penalty units (currently $2,611.00). If you are selling a lot in a community titles scheme, you will also need to carefully consider whether you should disclose the existence of combustible cladding (or if it hasn’t yet been determined that the building is not affected) to the Buyer before signing the Contract- to avoid a possible claim for a breach of warranty or the termination of the Contract. Whether you need to disclose will depend on what the Body Corporate records show, your actual knowledge, any actions taken by the Body Corporate and the potential costs involved if rectification is required. How does this new legislation affect buyers? must retain the required documents until the end of the period detailed above. The Buyer must also ensure that the above notice requirements are met and if the Seller did not display the required notice, the Buyer must install it within 5 business days of becoming the owner of the building. Unfortunately there is no register to search to determine if a building contains combustible cladding or to determine the extent of compliance with the above by the Seller. There may therefore be uncertainty for Buyers while the assessment is still being undertaken – i.e. it has not yet been determined if combustible cladding exists but the Buyer will be required to satisfy the above requirements and will incur the effects if the building does contain combustible cladding. It is therefore important to ensure that a Buyer investigates the extent of compliance by the Seller and appropriate warranties by the Seller are included in the Contract and that all required documents are collected at settlement.